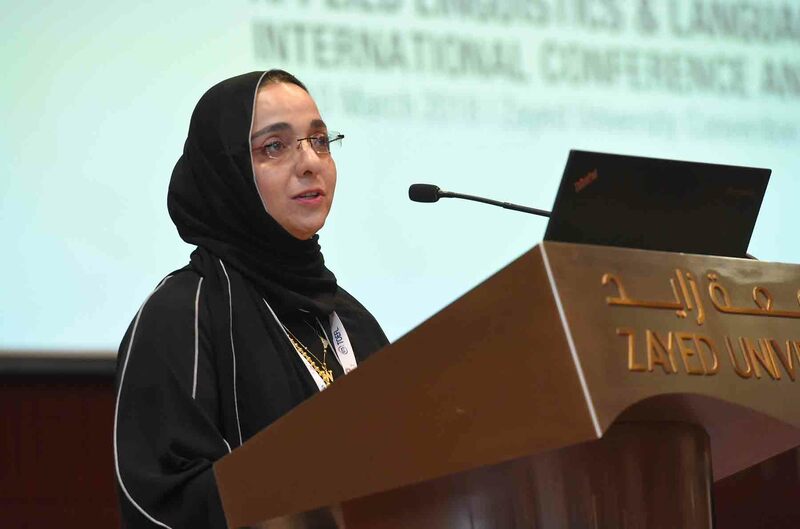 DUBAI, 9th March, 2018 (WAM) -- Language education change, teachers’ future groundworks, innovative teaching programs, and digitizing languages and skills, were some of many discussed topics by field experts during the Zayed University ‘Applied Linguistics and Language Teaching’ International Conference and Exhibition, which was organised by the ZU University College yesterday. With high aims of enhancing the professional and knowledge levels of the teachers and applied linguists, the event, which runs under the theme ‘Language Teaching & Learning in a Globalized World’ till tomorrow, saw over 600 delegates from 23 different countries, joining to share and improve personal teaching skills, utilising creative methods and innovative solutions presented though a series of professional development courses. 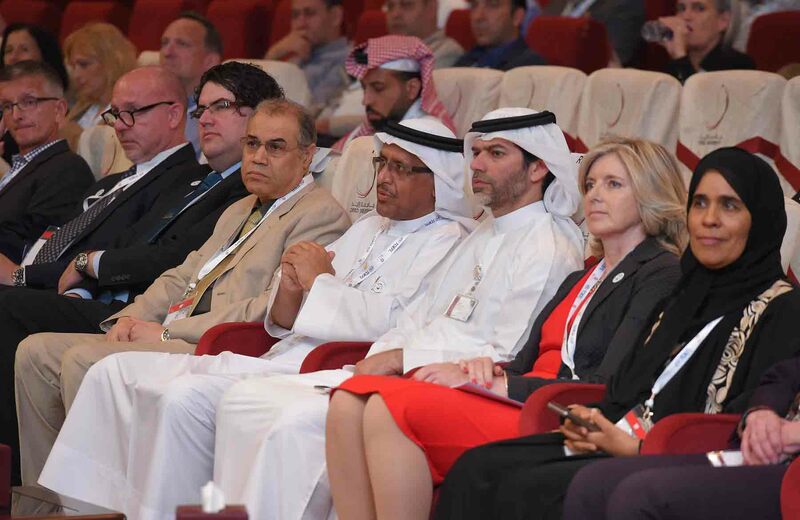 Prof. Reyadh AlMehaideb, Vice-President of Zayed University, addressed the importance of hosting the event to fulfill the nation’s objective across the education system to prepare students to become the citizens of tomorrow, "The ALLT 2018, is a notable example, where language professionals, English, Arabic, and other language teachers can get together and showcase teaching approaches that can support students and accelerate learning." "The purpose of ALLT is to enhance the professional and knowledge levels of the specialists in these two fields through reflection and exchanging knowledge and experiences," he said. "It is important to point out that "Applied Linguistics and Language Teaching" is not just focusing on the use of or teaching of English but on languages in general, including Arabic." Dr. Wafa Zoghbor, Assistant Dean of Research and Outreach at the ZU University College, said that the three-day major event targets the development of specific skills and knowledge that can help the participants improve their practice. "Over 400 abstracts were accepted on 10 different strands, the biggest of which was the educational technology strand featuring 64 proposals." The selection of themes for the Personal Development Courses was based on the feedback provided by the practitioners attending similar events in the past, and Ministry of Education teachers specifying their preferences and needs in the profession. "The targeted audience are language instructors, educators, early-career researchers in all educational sections," she added. 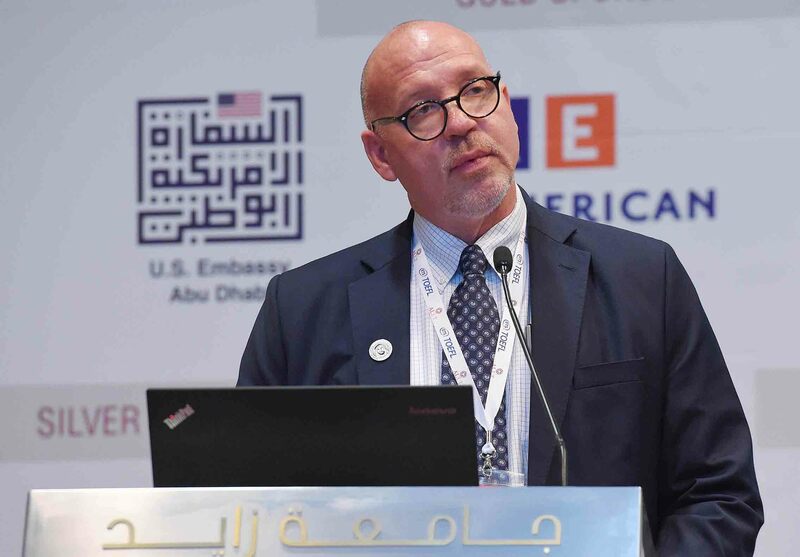 The event was sponsored by the US Embassy to the UAE, the Arab Gulf Education, a leading publisher in the Arab World, Cambridge University Press and Cambridge Assessment English, and Pearson, the world’s learning company with expertise in educational courseware and assessment.